So, what are packing cells. Also referred to as cubes, packing cells are basically gear containers. I my care I have four cells in total, three made from 1.3oz Cuben fibre or DCF and one made using a fabric called Code Zero. The cubes are from Tread Lite Gear and measure 32x16x16cm (other sizes are available). For me the cubes work very well when it comes to organising my gear. I generally have my sleep system in one, spare clothing, hygiene and first aid his in another and food and electrics in another. I can get gear for a five day trip into three cubes with ease and have a forth spare if needed. Using three cubes together in my MLD Prophet or any of my other frameless packs create a great back support meaning I don’t need to take a section of ZLite pad to form the back support. One of the most common questions I have had about the packing cells since posting pictures on social media is, what will fit inside……? 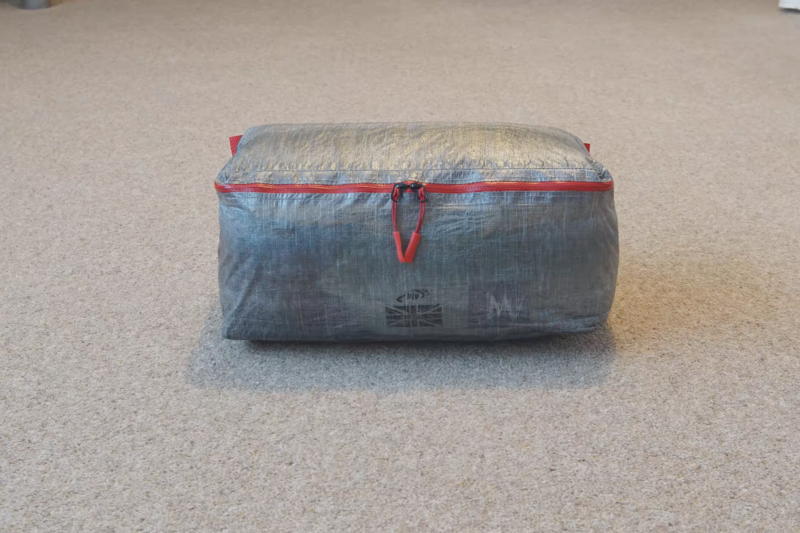 So that’s my Cumulus Quilt 350, Thermorest XLite Regular, Pump Sack, Pillow, Berghaus Hypertherm Vapourlite, Down hood and gloves all neatly stored in one cube. The cubes themselves are water repellant, the seams are not taped, I always use a pack liner so this is not a problem but in fairness, they are pretty water tight from my experience. When at camp, the cubes help keep my setup tidy and I generally pack unused gear away in them before going to sleep. Packing up in the morning is allot easier IMO too. Simply load up the cubes and pack them instead of trying to position multiple stuff sacks in a way they not only fill the space but also distribute the weight and bulk evenly.